It’s hard to argue that fall is the best time of year. It’s a time of year that’s perfect for bringing families together, especially after a busy summer. 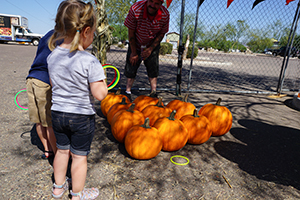 And although fall in Arizona doesn’t look or feel like the rest of the country, one thing you can count on to mark the changing season is pumpkins! 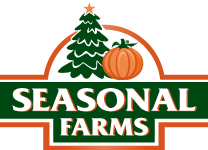 At Seasonal Farms, our mission is to provide your family a fun fall activity — one that can become an exciting annual tradition. 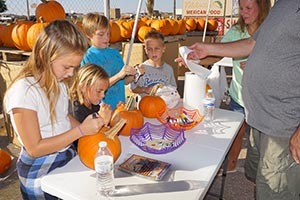 We offer Arizona beautifully grown pumpkins to the Phoenix, Gilbert, Queen Creek, San Tan Valley, Cave Creek, Peoria, Avondale, Glendale, Mesa, Tempe, and Chandler areas. While pumpkins are our specialty, we also provide several other types of seasonal flair and produce for you to decorate your home and office. Cornstalks, Indian corn, goods — you name it, we have it. Don’t miss our annual Seasonal Farms’ Kids’ Day! 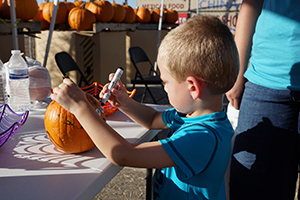 Pumpkin decorating, activities, prizes, and music — you won’t want to miss it! Check out our Facebook page for locations, dates, and times. 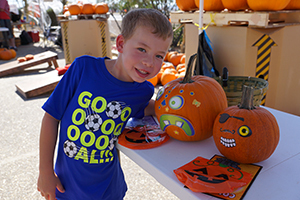 Stop by one of our many Seasonal Farms locations today and start building your family’s fall tradition by picking pumpkins with us.